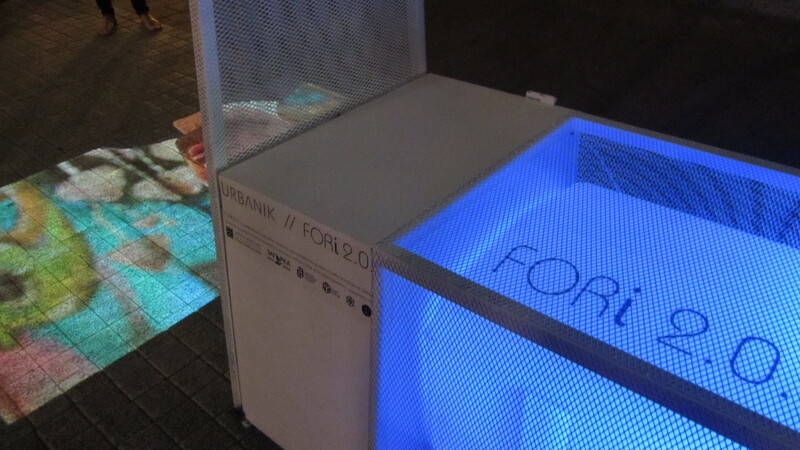 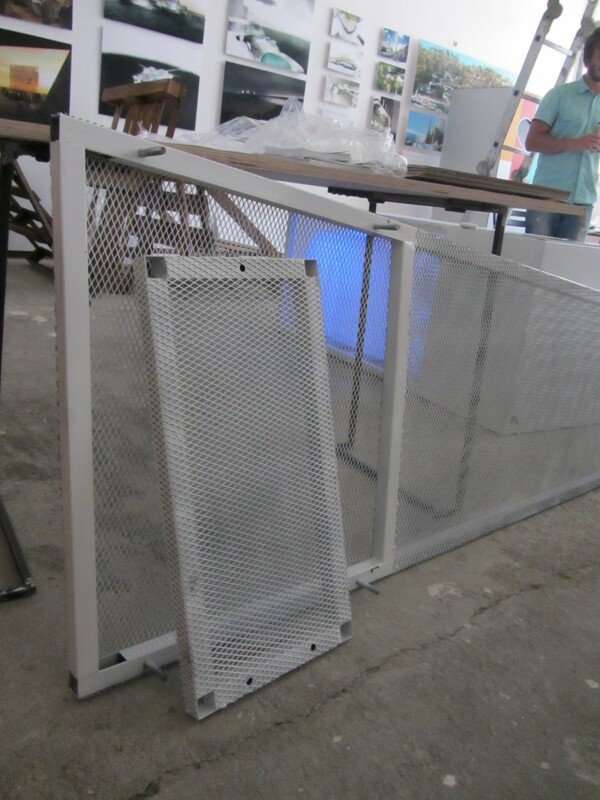 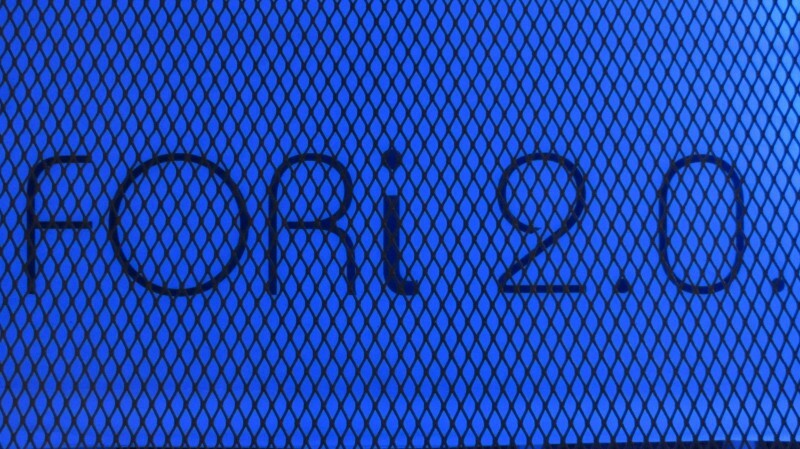 FORI 2.0 is the follower of two previous prototypes we made in 2012 & 2013 – Urban Media for Culture and Zagorska Culture Media. 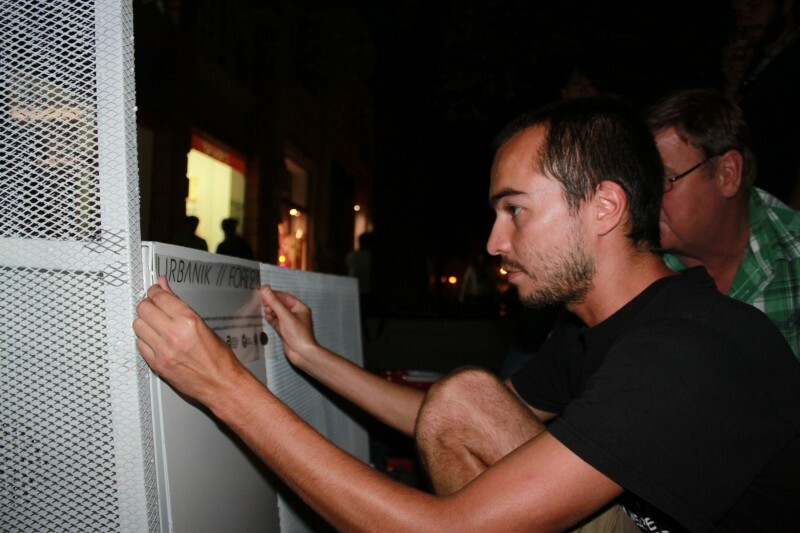 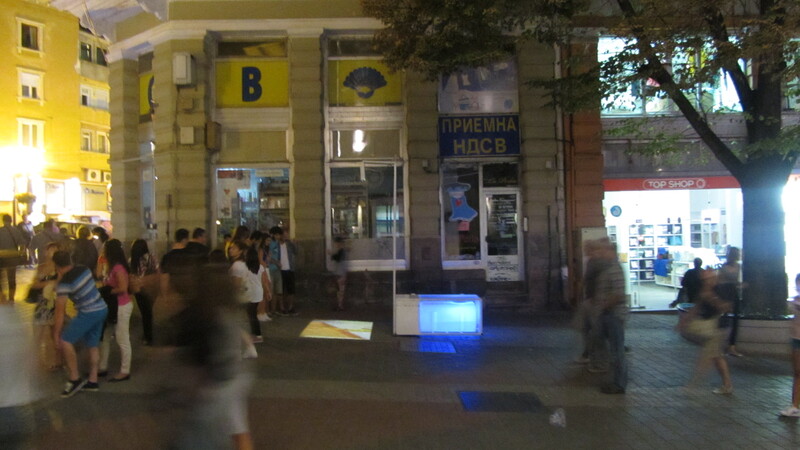 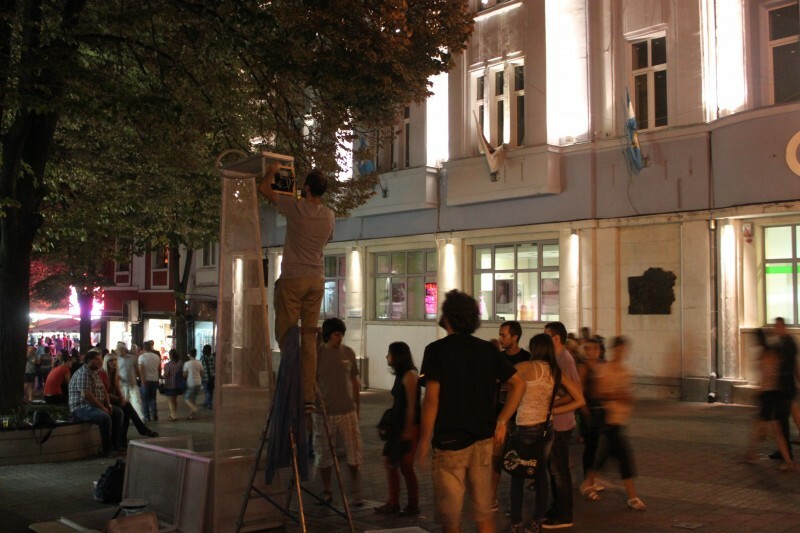 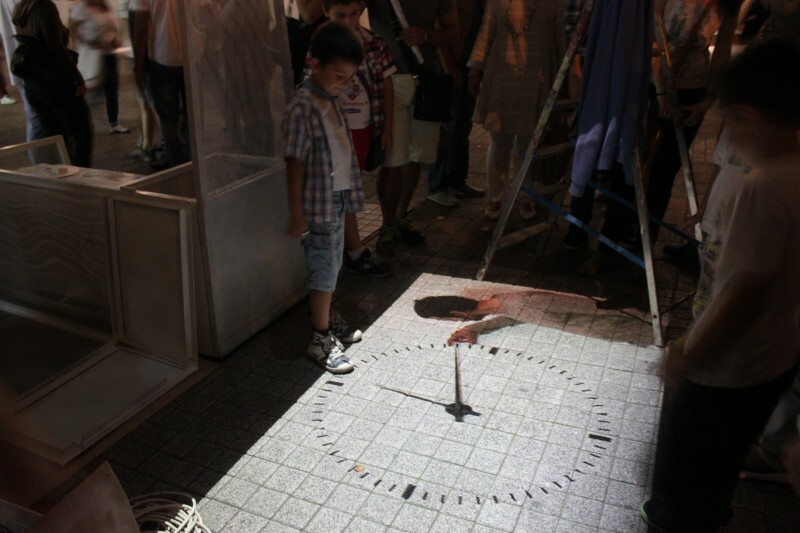 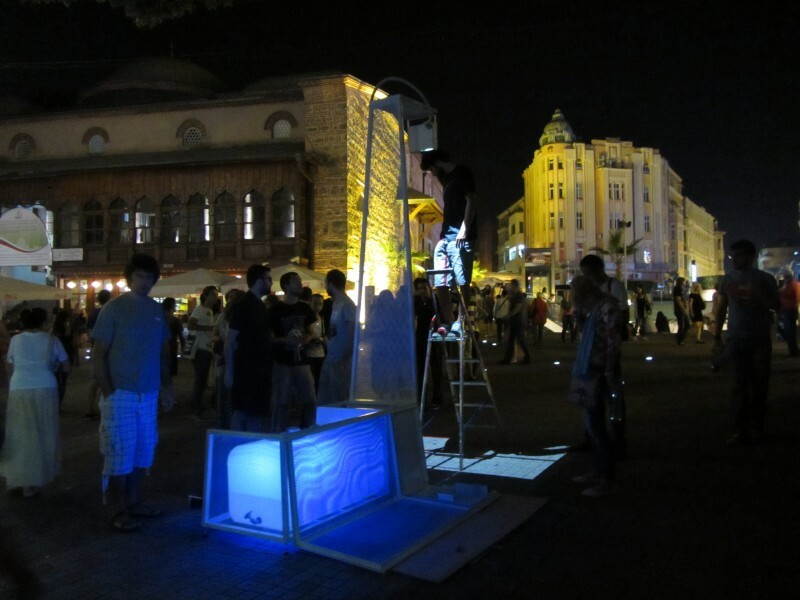 The prototype was part of the Plovdiv Night of Museums 2014. 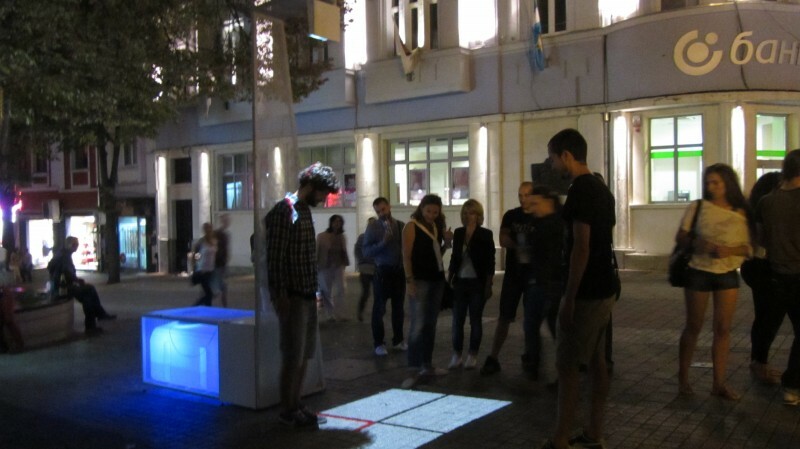 This time the challenge was to make a completely independent intervention, free standing in the middle of the square. 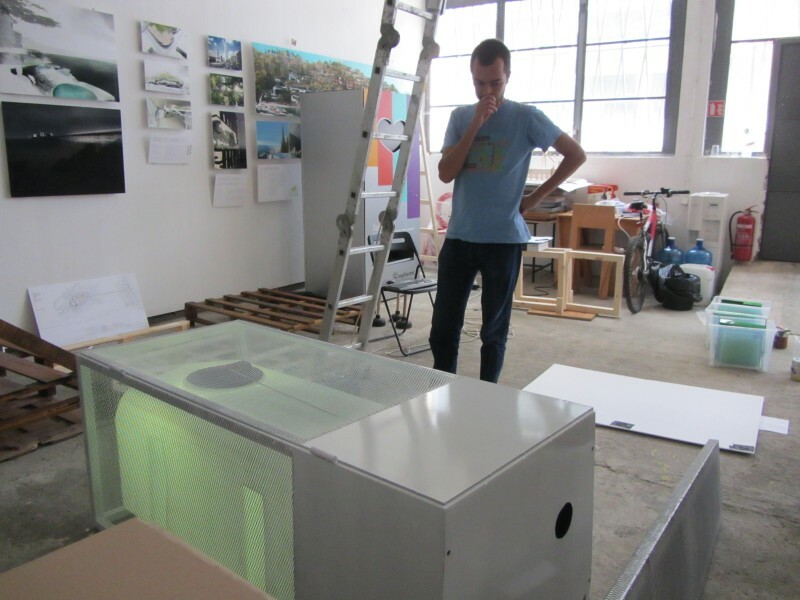 The project included metal corps with all the necessary equipment integrated inside. 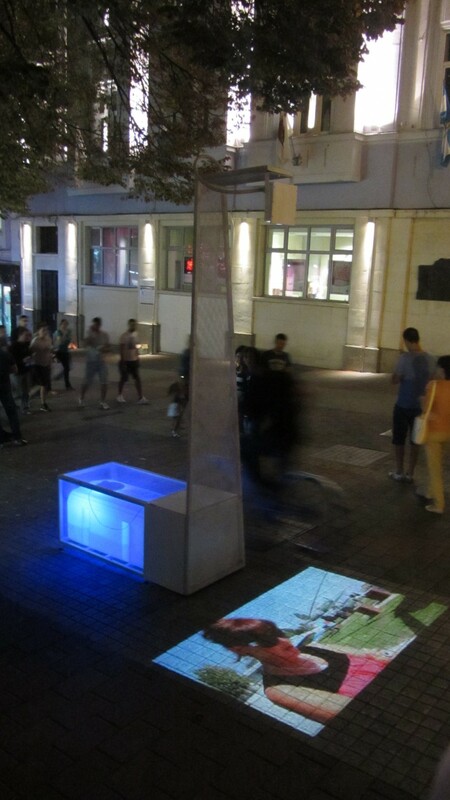 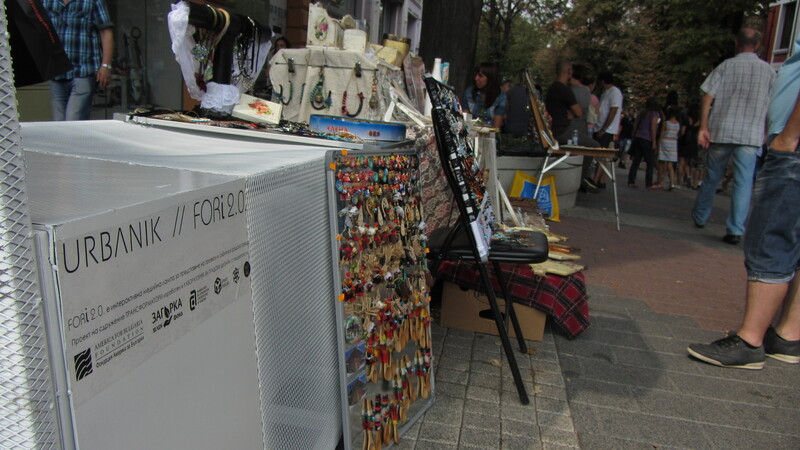 FORI 2.0 becomes active & interactive element of the urban environment, as well as a piece of urban furniture – place to sit, and as it turned out to be – a sales stand for an old lady. 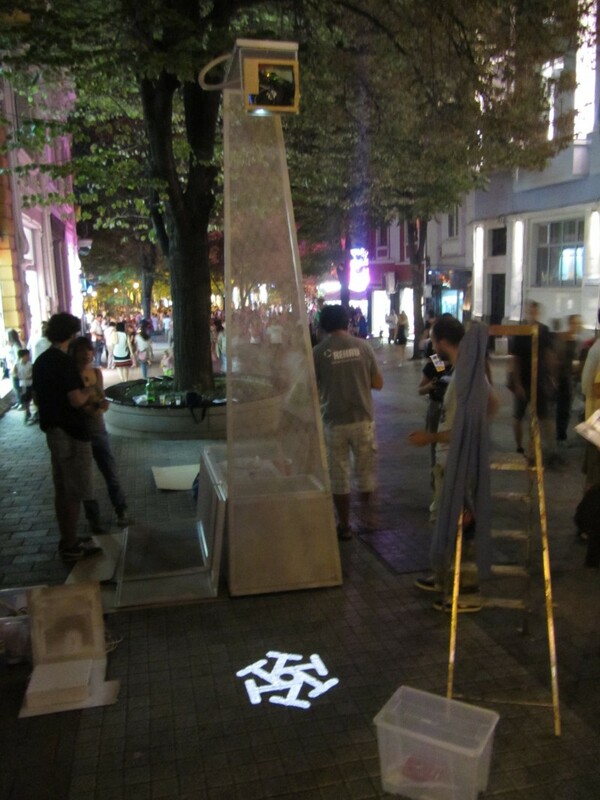 A container full of water gives stability to the structure and makes it attractive with LED lights during the night. 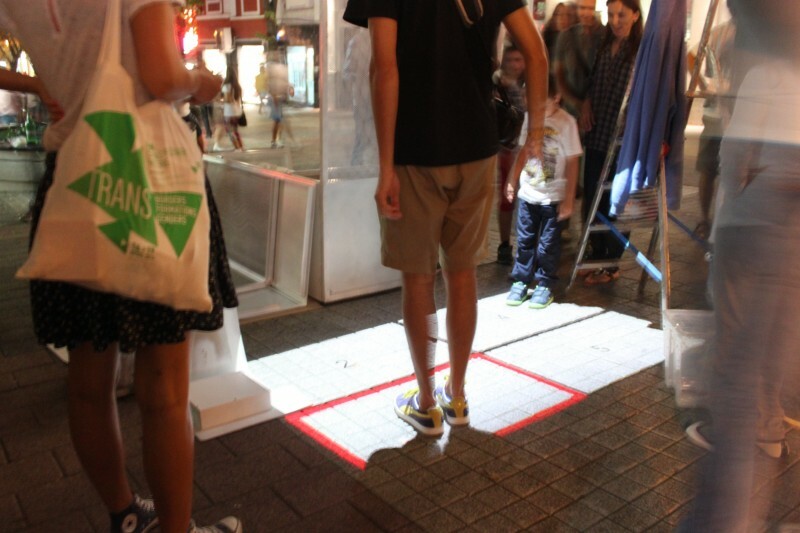 Users can choose what to projection to watch through control sensors. 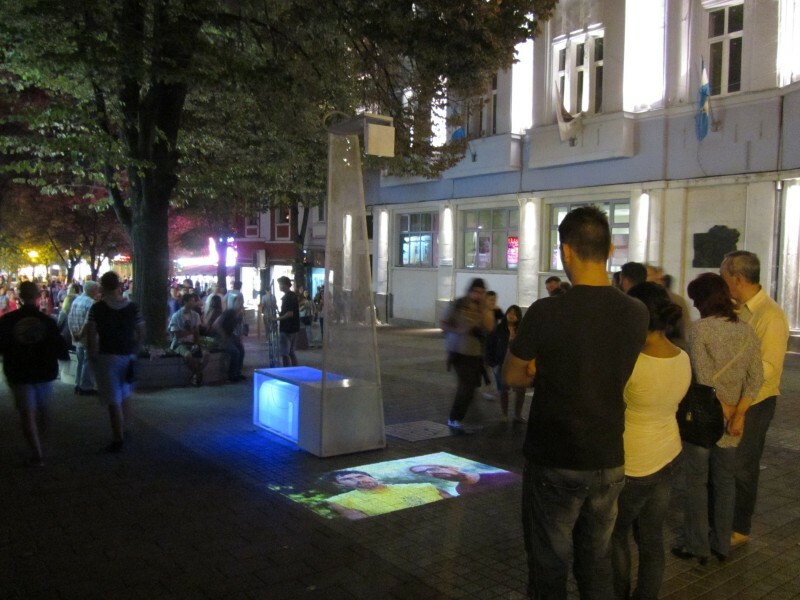 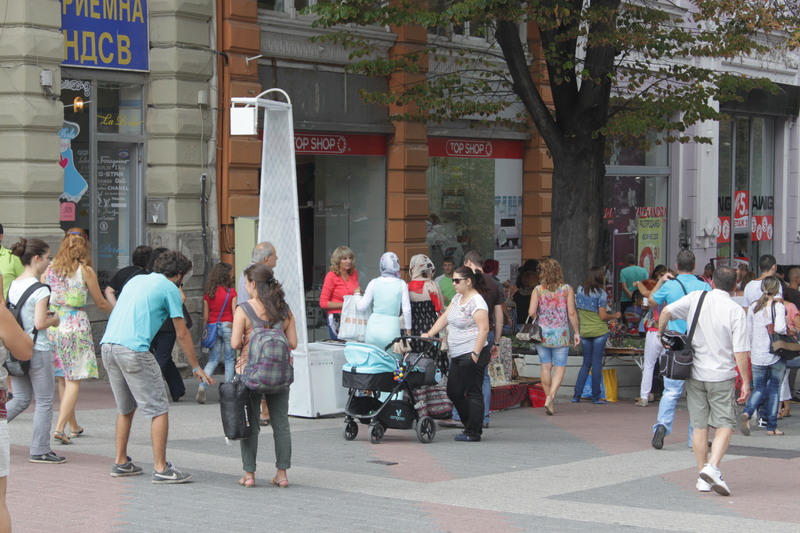 FORI 2.0 was made by the support of Laboratory for Urban Design, sponsored by America for Bulgaria Foundation. 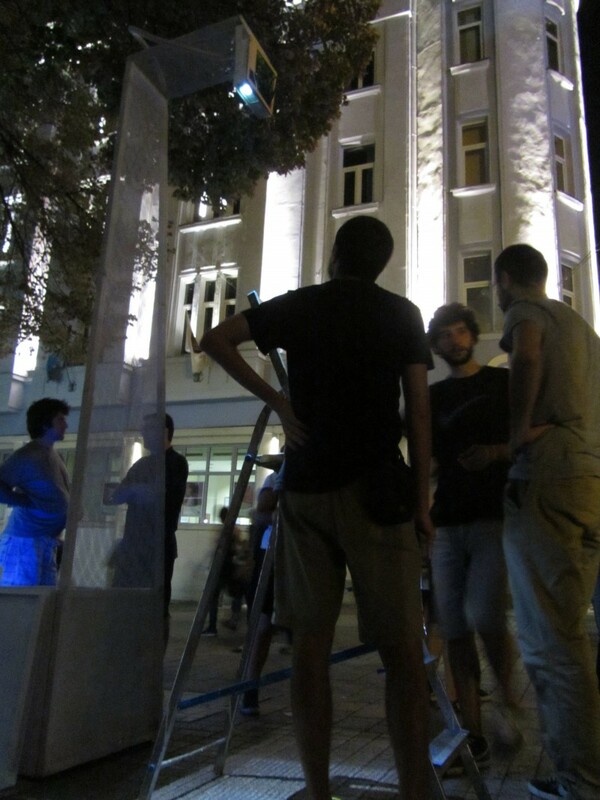 This project wouldn’t be possible without Marin Kafedjiiski & Petko Kafedjiiski.